In March I'm going on a writing retreat. A self-made one. Two other writing friends and I are going to cram our laptops and our bodies into my car and head to Conception, Missouri. Specifically, to Conception Abbey...the place where monks create a blissful aura over all who stay there. No teachers. No frills. No schedule. So if that's what it doesn't have, what does this writing retreat have? Loads of uninterrupted writing time. A lack of distractions because I don't have to sweep or mop or do dishes. I don't have to cook. I don't have to run after my dog as he hunts for poopsicles to eat in the backyard. And no internet unless I go to the abbey's library (and their hours are limited). This is what I need now. I'm in the finishing stages of my manuscript (first draft) and am hoping to have it finished by this retreat and get some feedback prior to going...so I can then slash and burn the unnecessary parts and build up what I need to bolster while I'm in Conception. What I want from a retreat—at least this one—probably differs from what you would desire. However, I do think writers should dig deep to discover what they need from a retreat before signing up for one. If your constructive writer friends can dole out great critique, perhaps you can plan a DIY retreat. Rent a cheap cabin. Beg one of the attendees to give up their basement for a night. Check out the retreat centers—they'll feed you and give you a bed, and the rest is up to the group. Before packing your bags, agree to what is going to happen. Are there going to be scheduled critique sessions? Where is everybody—are some polishing while others need some inspiration to begin something new? And what distractions/nonwriting activities are going to happen—if any? You might benefit from a large regional or national retreat, where you'll be able to network with writers and make new connections. Or, you might be better off working with your writing guild/circle of friends and paying a locally-known writer to lead a small group. Survey what everyone is looking for and where they are. Is everyone working on memoirs and they need a gifted memoir writer to help them fine-tune their voice and create an unforgettable place? Or is everyone a novelist and they would each love to have a pitch-critique session with an editor/publisher? If time and money are at a premium, think outside the box. Your local library might have a room that they'd let you use. Many art museums have education wings. You could reserve one, and when anyone needs a break from their writing, they could wander through the galleries for more inspiration. So—don't retreat too deep into yourself and miss out on some productive experiences. Go on a retreat...and watch what happens. Sioux Roslawski is a St. Louis third grade teacher and a freelance writer. She's been published in Sasee magazine, eight Chicken Soup for the Soul anthologies, as well as several Not Your Mother's Book collections. 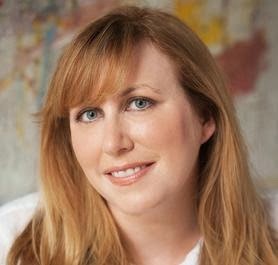 In her spare time she's working on a novel and rescues dogs. 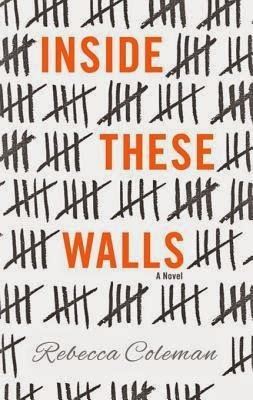 From the moment you open Inside These Walls by Rebecca Coleman, you're transported to the world of a women’s prison and introduced to Clara Mattingly who is serving a life sentence for murder. Rebecca’s writing is superb, and Clara is instantly a likeable and sympathetic character, whom you will cheer for, even though she’s also a cold-blooded killer. Rebecca isn’t tricking the reader into liking Clara. It’s obvious that there’s more to the story than just murder—that Clara has the proverbial skeletons in her closet. After twenty-five years behind bars, she’s choosing to forget the past and stay focused on her present, which in prison means keeping her head down and staying out of trouble. The problem is Clara’s famous, and so other inmates love to pick on her, which often results in serious injuries. Her crime, along with her boyfriend Ricky, was made into a movie. Hollywood turned their story into an almost Charles Manson type of drama, where Ricky led Clara and his other friends into a 24-hour crime spree that resulted in several murders. Clara lives her prison life helping her blind cellmate and working on Braille textbooks, while remembering her life as an artist and her love for ballet before the night that changed her life forever. You'll keep turning pages because of the author’s set-up, trying to discover how did this bright, young, talented girl follow her boyfriend and murder people? Rebecca reveals the true story once an unexpected visitor appears to see Clara in prison, and her heart immediately yearns for love and freedom. At the same time, a reporter writing a book about Ricky asks Clara for information, even though she has never before granted an interview. Because of the visitor, Clara decides it’s time to reveal the truth; and as the book progresses to the end, you discover the circumstances leading up to the crime. Themes in this book include religion—Clara is Catholic and does follow her faith in prison, including going to confession and taking communion; forgiveness; self-preservation; abuse; independence and freedom; friendship; loyalty; love; truth and more.This is the perfect book club choice, as readers will debate Clara’s crimes, her confessions, her circumstances and even the ending. On Rebecca’s website (http://www.rebeccacoleman.net), book clubs can sign up for a possible Skype or phone visit from the author. WOW: What made you want to write about a woman in prison--and then in a high-profile case? Rebecca: Once the story started taking shape, it became more interesting to make it a high-profile case because it would make sense why someone would want to interview Clara for a book. But as to why I wrote it in the first place--the only truthful answer is. . .because it's the story that showed up in my head! I never start out with a specific topic in mind--I want to write about an emotion, and then I find a story that gives a structure and a progressive arc to that emotion. With Inside These Walls, it was about the feeling of being given a second chance at something very, very important and how far a person would go not to squander that chance. And what could challenge that more than being in prison? WOW: Thanks for explaining how the story took shape. It's always interesting to hear from successful authors how their brain works. How did you get your agent, Stephany Evans (in other words--meet at conference, slush pile, etc)? Rebecca: I sent her a query letter by e-mail, but it was an unusually nervy move for me. Normally I'd go to an agency's website, look to see who the newest agents were, and query them, thinking they were still building their lists and would be more open to a new, untested writer. I'd gotten stacks and stacks of rejections. 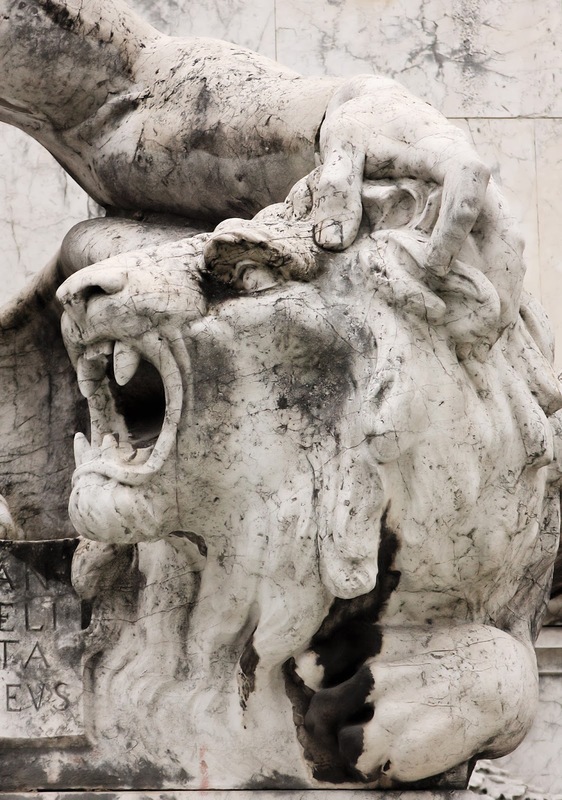 Then my first book, The Kingdom of Childhood, became a semifinalist in Amazon's ABNA contest, and that gave me the courage to query higher up the food chain. I have to say, Stephany is the perfect agent for me. She is conscientious and tenacious and attentive. I ended up feeling glad for all the rejection because in the end it gave me the opportunity to work with Stephany. WOW: The advice we all hear is that finding the perfect agent should fit like finding the perfect spouse or mate. We're so happy that has happened for you. What's up next? Rebecca: Thanks for asking! I'm working on a new story that features a character my readers have seen before--that's all I can say. WOW: Now, that's a teaser. I can't wait to find out about that! How do you balance writing and marketing? Rebecca: It's a serious challenge! You have to schedule the business part, so the creative aspect doesn't eat all your time. It's easiest for me to spend the first hour of a work day dealing with Twitter and e-mail, then set myself free to write for the rest of the day. It's tough because writing asks you to lock yourself in a room with your imaginary friends, and marketing requires you to go out there and take risks with real people. A lot of writers write specifically because they don't want to do that. WOW: Very true! What's one piece of advice you would give to new writers? Rebecca: Don't be a diva. To succeed in this business, you need to be able to take criticism, be enjoyable to work with, be flexible, and make many more friends than enemies. If you can do all that and be true to yourself as a writer, then nothing can hold you back. WOW: Thank you for that wonderful advice. Please keep WOW! 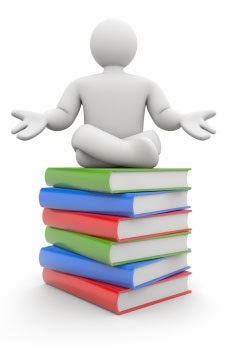 readers informed on your next book. We'd love to hear about it. Readers, don't forget, you can enter to win a copy of this wonderful book, Inside These Walls, by entering the Rafflecopter form below! Good luck! Your author or writer online platform is all about numbers and reach. It’s about how many people are aware of you within your niche and how many of those people think you have authority within that niche. In other words, it’s about how many connections you have. You might equate it to a popularity contest. With email marketing wavering, you need to use all four of these strategies to keep your author-writer online platform moving forward. When a small town writer finds there’s no writers’ group for camaraderie and critique of her writing-in-progress, it’s time for a DIY writers’ group project. It’s not as difficult as you may think, so shush those inner doubts. Assure yourself you have the ability to do it. Put on your Superwoman persona and go for it! Find a room where you can hold an informational meeting—perhaps at the public library, a coffee shop, your church, or a classroom. Choose a day and time you think is convenient for other writers to meet. Write a press release announcing a meeting to form a writers’ group. Include the date, time, and place, plus your contact information, in case people have questions. E-mail the press release to all print and online newspapers in your town. Ask them to publish it in community announcements as well as list it in their calendar. If your group is a Christian writers’ group like mine, send the press release to churches in your area also. Arrive early for the meeting so you can greet people. Come prepared to chair the meeting with a simple agenda. This is helpful whether there are four people or two dozen. Here are some points for your agenda. 1. Purpose: Discuss the purpose of the group. Decide if it is mainly for encouragement, critique, or learning writing skills. Or perhaps it will be a combination of these. 2. Officers: Will you have formal officers or will members take turns filling roles for the meetings? If informal, plan for a monthly facilitator to chair the meeting and to send out publicity ten days before the meeting. If you have a learning segment, plan for a monthly lesson presenter. 3. Dues: As a group, decide whether you will have on-going expenses that require dues or membership fees. Some groups do. Other groups handle needs that arise by a free-will offering. 4. Food: Will you serve refreshments or not? Will individuals bring their own if they wish? 6. Meeting format: What elements will you include in meetings? Will manuscripts for review be provided ahead of time (perhaps by e-mail) or will they be handed out at the meeting? How many pages will be allowed for review—perhaps three pages per member? 10-15 minutes to share successes, struggles, announcements, etc. Remainder of time—Feedback Forum to review writing-in-progress. Even small towns usually have enough people interested in writing to build your own writers’ group. 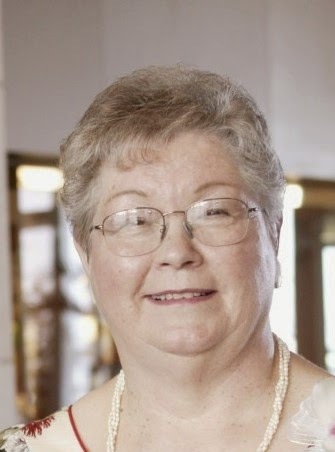 Carolyn Boyette Lewis is a wife, mother, grandmother, and retired teacher whose love of writing bloomed in high school and continues today. She lives in a small town in southwestern New Mexico where she recently started a group for writers. Having started two groups for writers, she can confirm that most writers can accomplish this task. Currently, she is focusing on editing a book of poems she has written over the years. 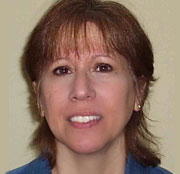 Connect with Carolyn at sclew514@yahoo.com; https://www.facebook.com/carolyn.b.lewis.5; and Sclew's Views. An old friend of WOW, Therese Walsh, is releasing her second novel The Moon Sisters next month and you’re all invited to join the party. The Moon Sisters revolves around the complicated (aren’t they always?) relationship of two sisters. To celebrate the release we’re reviewing the book today and organizing "Everybody’s Talking about Sisterhood," a group blogging event, next month. 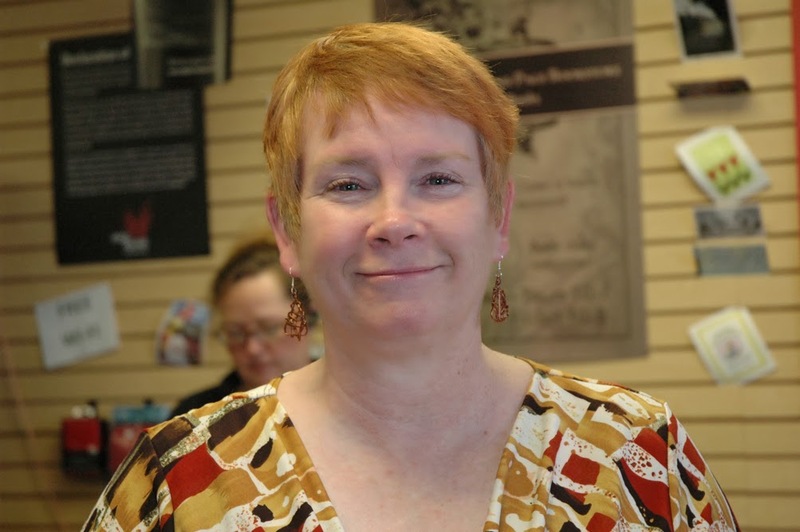 Therese Walsh will be visiting The Muffin with a post about sisterhood on Tuesday, March 4. We’d also like to invite everyone out there to post their own thoughts, photos, poems, letters and poems about sisterhood. If you’d like to participate, contact Jodi at Jodi@wow-womenonwriting.com to sign up by Friday, February 28. We’ll add your blog and link to the March 4 post on The Muffin and enter you and your followers in contests to win a copy of The Moon Sisters. Don’t miss a chance to share all the touching, drive-you-crazy, silly and unforgettable things you know about being a sister, whether it be a family sister or a friendship sister. But somewhere around page 100 things began jumping off the page at me. The tattoed man, the suicidal writer, the old train hopper, the woman who can taste words (it’s a long story that begins with the word synesthesia)…they all reminded me of people in my life. Despite all their quirkiness these were characters that felt so familiar because, when you strip away the oddness, they were all experiencing universal emotions we all know. I never thought I would be writing that a story that involves people fiddling on rooftops, fatal arson and a father who disowns his only child is, in one way or another, about every reader's life. The Moon Sisters is a novel that will surprise you, not once, not twice, but continually and keep you thinking about the characters and their choices long after you have read the last page. Don’t forget to sign up for Everybody’s Talking about Sisterhood by contacting Jodi at Jodi@wow-womenonwriting.com by Friday, February 28. 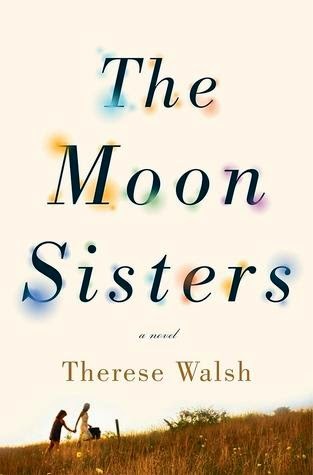 We’ll send you information about The Moon Sisters and Therese Walsh as well as some images and fun links and quizzes you can share with your readers. 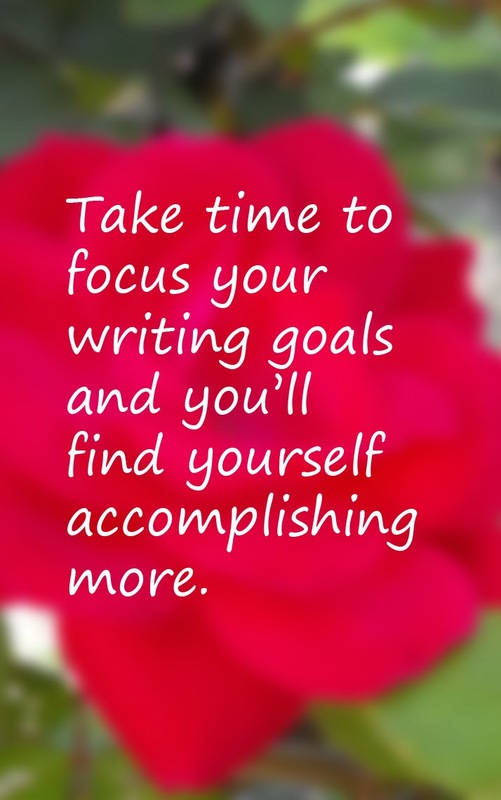 Jodi Webb is still toiling away at her writing in between a full-time job, a full-time family and work as a blog tour manager for WOW-Women on Writing. Right now she's looking for blogs to promote Theresa Walsh's novel The Moon Sisters and Sue William Silverman's memoir The Pat Boone Fan Club. You can contact her at jodi@wow-womenonwriting.com. For Jodi's take on reading and writing (no 'rithmetic please!) stop by her blog Words by Webb. Secrets, large and small, are a fact of human life. 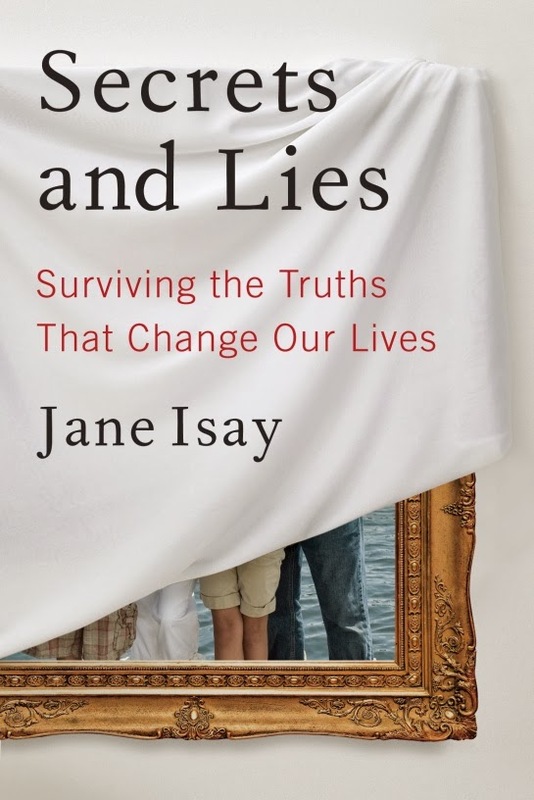 Jane Isay's book Secrets and Lies: Surviving the Truths That Change Our Lives explores the impact of keeping secrets and the power of truth. Secrets can damage our sense of self and our relationships. Even so, Isay has found, people survive learning the most disturbing facts that have been hidden from them. And secret keepers are relieved when they finally reveal themselves—even the things they are ashamed of—to the people they care about. Much depends, Isay writes, on the way of telling and the way of hearing. Isay was both a secret finder and a secret keeper. After fifteen years of marriage her husband admitted he was gay, but together they decided to keep it a secret for the sake of their two sons. Building on her personal experience, sixty intimate interviews, and extensive research into the psychology of secrets, Isay shows how the pain of secrets can be lightened by full disclosure, genuine apology, and time. Sometimes the truth sunders relationships, but often it saves them. Powered by detailed stories and Isay's compassionate analysis, Secrets and Lies reveals how universal secrets are in families. The big ones—affairs, homosexuality, parentage, suicide, abuse, hidden siblings—can be ruinous at first, but the effects need not last forever, and Isay shows us what makes the difference. With specific guidelines for those who keep secrets and those who find them out, Isay's book reveals the art of surviving a secret. Jane Isay is the author of two previous books, Walking on Eggshells about parents and their adult children, and Mom Still Likes You Best, about adult siblings. She lives in New York City. Visit Jane's website at www.janeisay.com, and connect with her on twitter @janeisay, and Facebook: www.facebook.com/jane.isay. It was the story of how and why Jane Isay remained for decades in a marriage that was a façade that first hooked me into reading Secrets and Lies, but it was the numerous other stories also laid out in the book that kept me turning the pages. Just about everyone you know has a secret, whether in their own life or woven into the fabric of their family. It is such a universal topic that Psychology Today recently featured the topic of identity-warping secrets and lies on the cover of their January issue and ran an excerpt from Isay’s book. The author interviewed more than sixty people who lived either with their own secrets or the secrets of their family members, a style that appealed to my inquisitive nature as a journalist. In Secrets and Lies, Isay seeks to explore the hopelessness we feel when we learn of a secret (Finders) and why we sometimes continue to cover up such secrets and work hard to keep them from being discovered (Keepers). The book is divided into two parts. The first part, titled “The Book of Revelations,” tells the stories of adoptions, secret siblings, and infidelity in marriages and staying in unhappy marriages for the sake of children. The second part “The Book of Resolutions,” explores how keeping such secrets can affect a person’s entire life and offers suggestions to acceptance and ultimately, the chance for recovery. 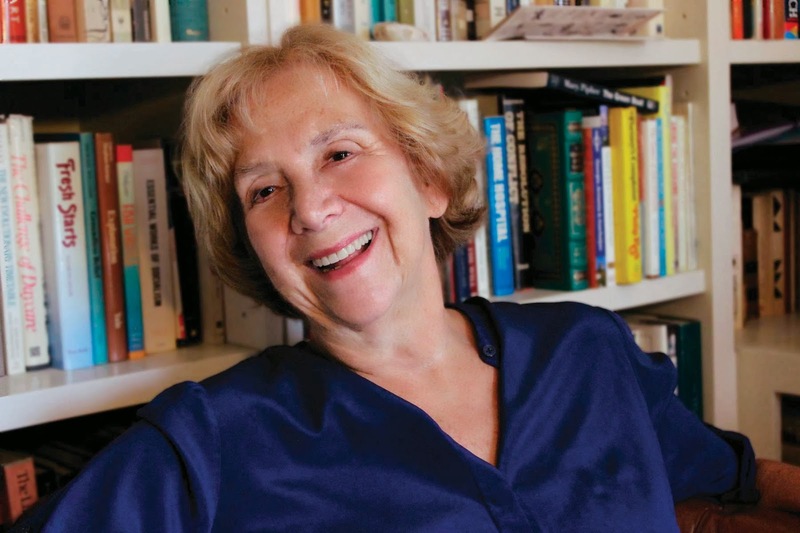 Isay grew up with a psychologist for a mother and lived for decades with a husband who worked as a psychoanalyst, so she takes an analytic yet thoughtful approach while writing about the repercussions keeping, telling and recovering from secrets. Even though this is a work of nonfiction, Isay does a great job of telling the stories in a manner that keeps the reader interested and intrigued. Because of this, I think readers of both memoir and fiction would enjoy this book. Secrets and Lies is available in hardcover, paperback, and e-book format at Amazon, Barnes & Noble, and IndieBound. WOW: We are so happy to have you here with us today, Jane! Secrets and Lies is a such fascinating read and I can't wait to find out more about where you get your ideas. You have now published three books--Walking on Eggshells, Mom Still Likes You the Best and now Secrets and Lies--and all focus on family dynamics. Can you tell us a little about how you became inspired to tackle the topics found in each of these books? Jane: Like most authors who write about families and their problems, I chose the subjects of these three books as a way of understanding issues that plagued me in my own life. Walking on Eggshells emerged when my sons were in their late 20s. They were making good lives for themselves, but I felt that I had moved to the periphery of their lives. And furthermore, they didn’t return my phone calls. I wanted to map out the relationships between parents and their adult children. As I did, discovered the love that our grown kids have for us, and how much they don’t want our advice! Mom Still Likes You Best explored some of the questions that marked my complicated relationship with my older brother. I wanted to find out what makes some siblings feel like they are best friends, what drives some siblings apart, and how brothers and sisters can find each other as adults. By the way, my brother and I are very close now. Secrets and Lies started with my need to understand what makes people keep secrets, how the revelations shake reality, and what it takes to continue a relationship ruptured by a revelation. The reality of my first marriage was the spur for this book. WOW: You started your career in publishing by working at Yale University Press and also worked as a book editor in New York City all throughout your career. How do you think your experience as an editor helped shaped your own personal writing process and style? Jane: When you start writing a book you have to put the editor’s head to sleep at first. Otherwise, criticism blocks creativity. But then, when something is on paper, you can reactivate the editor’s brain and evaluate the ideas and the clarity of expression. I write in one room and edit in another, and that helps me keep the two activities separate. When I am an editor, I am smart and quick. I can evaluate writing--even my own--and see where improvements are needed. When I am a writer, I have to put up with feeling dumb, as I search for understanding, struggle with hard subjects, and reach dead ends. I find it more pleasant to edit my own work, but more satisfying to wrestle with the hard issues I write about. WOW: I love the idea of writing in one room and editing in another! I'll have to put that practice to use in my own work and see how it goes. I'll be honest--when I first heard about Secrets and Lies, I thought it was strictly a memoir. Instead, it contains numerous stories, which are the result of interviews that you conducted with dozens of people. What made you decide to layer in all these different stories and approximately how many hours do you think you spent on the research and interviewing portion of this book? Jane: I started the book with interviews. I was fortunate to find dozens of volunteers who agreed to share their experiences with secrets. It was only after I finished the research and the first draft that I was persuaded to tell my story in full to begin the book. I came to believe that my own struggle would give the reader confidence in my understanding of the issues people face when they encounter the world of secrets. I spent two years doing the research for this book. It goes slowly and sporadically, but the time when I’m not actually doing the interviews is the time when the ideas and experiences I have heard about marinate in my mind and heart. WOW: That's impressive. The two years you spent researching and interviewing for the book really paid off in the end, with the variety of stories you were able to capture and share. In Secrets and Lies you discuss the idea of the "Secret Finder" and the "Secret Keeper." Can you tell us a little more about these two ideologies? Jane: The Finder, the person who learns the truth, faces the task of rethinking the past and reimagining the future. We live by telling ourselves the stories of our past and thinking up scenarios for the future. These stories come to a full stop when a secret is revealed. Imagine yourself in the driver’s seat when someone comes with a baseball bat and batters the windshield. Your world is shattered, and in addition to the misery of learning the facts, you have to deal with the web of lies you have been told by someone you love. The Keeper, the person who has been hiding a shameful fact, is not such a happy person, either. The Keeper has to be on guard all the time, worrying that if an incriminating fact slips out, there will be trouble. The Keeper learns to dance around the truth, and that is no fun. The longer you keep a secret, the harder it is to come clean, because then you have to explain away the years of lies. WOW: You personally lived as a Secret Keeper for many, many years. How would you describe the impact keeping that secret ultimately had on your and your children? Jane: First I was a Finder, when my husband of 15 years confessed that he was homosexual. My life plan disappeared before my eyes. The decision we made to keep the secret from our sons and the world was painful for us both. I found myself increasingly sad and lonely because I couldn't share the most important fact of my life, and my husband suffered terribly from denying his true identity. We survived those nine years, and when we told our sons, they were shocked and unhappy, but over time they accepted the facts. They grew up to be admirable husbands, fathers, and professionals. They were loving sons to their father, and they are marvelous to me. WOW: What are some of your favorite fiction and non-fiction books that tackle the topics of family secrets? 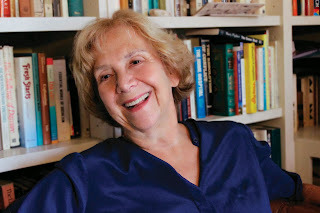 Jane: I have been a dedicated reader of quality mysteries all my life, and this genre kept me alive in the hard years. Elizabeth Strout’s The Burgess Boys is a great novel about how a secret infects a family, and Frank Pittman’s Private Lies is my favorite work of nonfiction on the subject. 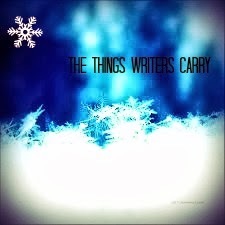 You might want to visit my website, janeisay.com for other works that have influenced my thinking. WOW: Thanks again for such a great interview, Jane. To find a copy of Secrets and Lies, visit Amazon.com, Barnes and Noble, IndieBound or visit your local bookstore. 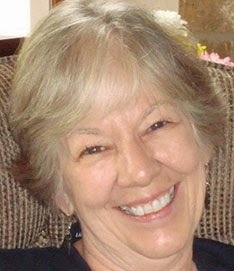 To connect with Jane online, visit her website at www.janeisay.com or follow her on Twitter at @janeisay. Courtesy of Doubleday/Random House, we have ten copies of Secrets and Lies: Surviving the Truths That Change Our Lives to give away. Just enter the Rafflecopter form below to be entered in the drawing.